COBINHOOD is a next-generation cryptocurrency exchange platform that features zero transaction fees and zero cut on margin funding interest earnings. It provides cryptocurrency trading, margin trading/funding, futures trading, and ICO underwriting services. It also guarantees 100 percent reserve for cryptocurrency deposits. To fund the development of COBINHOOD, the company has launched an ICO, which started on September 13th and will run until October 22nd or when all available 500 million COB tokens have been sold. 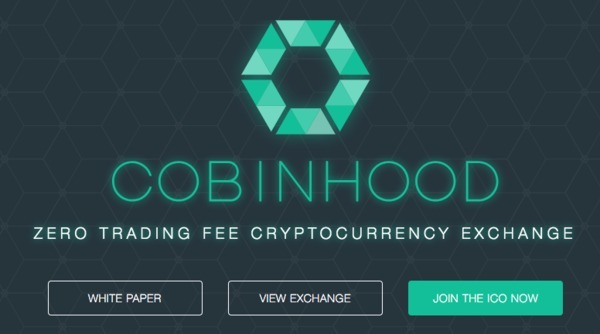 To participate, you have to go to www.cobinhood.com and send the USD-equivalent of ether (ETH) that you want to invest in the ICO to the ether address listed on the landing page. You must use either MyEtherWallet, Mist, or MetaMask to send your ether to the ICO address. These Ethereum wallets support Ethereum-based ERC20 tokens, which is the type of digital token that COBINHOOD is issuing. Once you have bought COB with your ether, you will be sent the COB tokens to your Ethereum wallet. Also, as is common in token sales, contributors are offered bonuses if they contribute during earlier stages of the ICO. COBINHOOD tackles the issue of high trading fees by building a next-generation digital currency exchange that charges zero trading fees. This enables traders to keep a higher share of their profits since those profits are not reduced by the trading fees that all digital currency exchanges currently charge. This will be especially welcomed by very active digital currency traders who would normally rack up quite a high amount in trading fees each week. COBINHOOD, however, will charge no transaction fees. Instead, the company will generate revenue by providing margin trading loans for up to 10x leverage on which it will charge interest. COBINHOOD will also provide an initial coin offering underwriting service where it will only list and underwrite ICOs that will undergo thorough due diligence before listing to ensure that only high-quality ICOs launch on the platform. The exchange will initially accept ten fiat currencies and plans to launch with 17 tradable digital currencies. Furthermore, COBINHOOD will insure all user funds held in online wallets and will store the vast majority of digital currency deposits in an offline multi-signature vault to provide state-of-the-art security for its users. COBINHOOD is led by founder and CEO, Popo Chen, who is a 26-year old Taiwanese serial entrepreneur who has successfully launched and exited three startups. His most recent venture prior, 17 Live Streaming, became a leading live streaming platform across Asia with more than five million daily active users and generated a 20x return for its investors within a twelve-month period. He is joined by CTO and Senior Back-End Developer, Pu-Chen Mao, who has worked at companies such as 17.Media and Ubiquiti Networks and brings experience in the fields of network protocols, low-latency networks, and multimedia streaming technologies to the table. Brendon Hogger, a software architect with over 15 years experience in finance, health, telecom, media, and fintech, is a key advisor to the COBINHOOD team. He is currently the Chief Architect of leading Taiwanese fintech company EMQ Ltd, where he works on backend development and partner integration. Other advisors include former FX trader Tz-Lu Jeng and Google software engineer Wei-Ning Huang. COBINHOOD’s development team includes over a dozen developers working on various aspects of the platform, including Android and iOS compatibility. COBINHOOD’s digital token, which has the ticker COB, provides users with several benefits when using the digital currency exchange. Firstly, traders who hold COB token will receive a 50 percent discount on the interest charged on margin loans. This may be very beneficial for experienced traders who use leverage to increase their potential returns when trading digital currencies. Secondly, when COBINHOOD underwrites ICOs, it could help to boost returns for regular ICO investors who will use the platform. Thirdly, the COBINHOOD team believes that the market value of COB tokens will rise as its platform grows into one of the largest cryptocurrency platforms in the world. Founder and CEO Popo Chen also stated in an AMA live stream in September that further benefits for COB token holders will come in the future. The COB token will become tradable in November when COBINHOOD launches its digital currency exchange. Given the strong interest that the platform and its ICO have managed to garner, it is expected that its token will list on other popular altcoins exchanges as well. COBINHOOD’s team has done an excellent job responding to key questions raised by potential contributors through numerous videos, live streams, and on social media. The company is actively using all the most popular channels of communications that are commonly used during token sales, such as Twitter, Slack, Telegram, Kakao, Medium, and the BitcoinTalk Forum to engage with the wider digital currency community. COBINHOOD has also published its API code on GitHub and has been updating it regularly as it is under “heavy development” at this point in time. Also, the token sale smart contract can be publicly viewed on EtherScan. COBINHOOD has managed to garner a lot of attention through its proposed zero-fee trading model and will likely experience a surge of new users through its main value proposition when it launches in November. Margin traders especially will look to purchase COB tokens to reduce their margin interest costs when they put on leveraged trades. Once COBINHOOD’s ICO platform is up and running, its token could also see a surge in demand by users who want to invest in these ICOs at a discount to maximize their potential profits. Having said that, COBINHOOD is not the first exchange to issue its own digital token and will likely not be the last. Its token’s two key value proposition will find demand from certain pockets of the cryptocurrency community, namely margin traders and ICO investors, but will likely find it difficult to raise funds from the wider community and newcomers to this asset class. Perhaps, if COBINHOOD’s token would also come with a profit/revenue share in the form of dividend payments, the project could raise more money to fund its development. To stay up to date with this ICO, sign up to COBINHOOD ICO Alerts here. 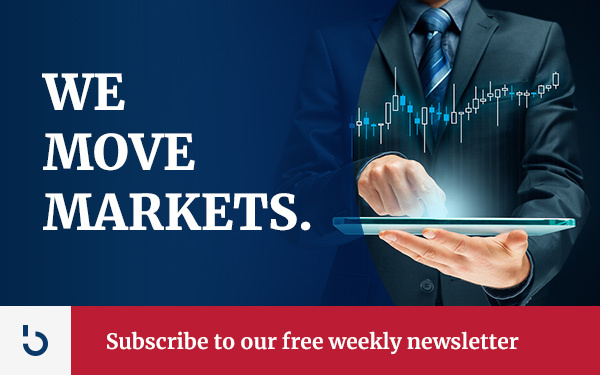 For more information about current and upcoming ICOs and other investment news in the digital currency space, subscribe to Bitcoin Market Journal today.